Stephanie Gerow, Ph.D., is an Assistant Professor of Special Education in the Department of Educational Psychology. She received her bachelor's degree from Davidson College in Charlotte, North Carolina, and earned her Ph.D. and BCBA from Texas A&M University. Dr. Gerow conducts research in developing, evaluating, and disseminating interventions for children with developmental disabilities. 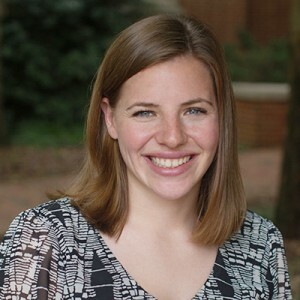 Her research interests include applied behavior analysis, challenging behavior interventions, and teaching natural change agents (e.g., parents, teachers) to implement interventions. For example, during one of her research projects she partnered with the local Early Childhood Intervention (ECI) provider to teach parents of young children with developmental delays to implement evidence-based interventions to reduce problem behavior. She has published her research in journals including Research in Autism Spectrum Disorders, Review Journal of Autism and Developmental Disorders, Developmental Neurorehabilitation, and Behavior Modification. Dr. Gerow has worked with children in both school and clinical settings. As a BCBA, Dr. Gerow worked with young children with autism. She developed and implemented interventions to teach adaptive and pre-academic skills and to reduce problem behavior. Most of her professional experience is with children with developmental disabilities, such as autism, ages 2 to 10 years old.